Our lives are permeated with technology; from the moment we wake to the moment we put down our smart phones at night, we are logged on, tuned in and connected. The kitchen is no different. The battle is on between the traditional home cook guided by real passion, intuition and creativity, and the engineers and developers focused on artificial intelligence that will make life in the kitchen easier and more convenient. One of the most hotly debated kitchen trends at the moment is that of the high-tech kitchen; a Wi-Fi / Bluetooth connected and interactive space incorporating ‘smart’ appliances. In fact, there is even an annual summit focused on this; The 2017 Smart Kitchen Summit was held in October in Seattle, USA. 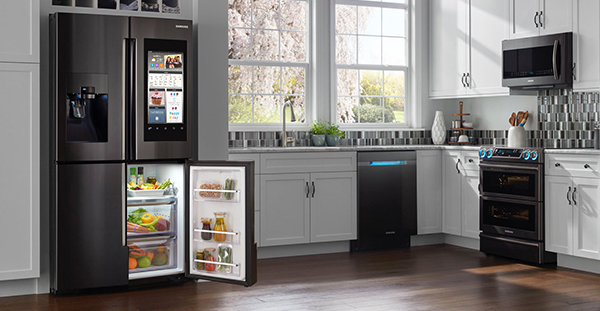 A smart fridge that does not only have a screen built in on which you can manage your diary, connect with contacts, shop online etc., but that has a camera inside that you can access via other smart devices to see what stock you have and what you need to pick up on your way home. A smart trashcan that scans throwaway empty cartons and records that you are out and notifies you on other devices that you need to add it to your shopping list. A remotely controlled slow cooker that can be started while at work to ensure the meal is ready to serve when you get home. A smart plate that has a built-in camera and scale that intelligently reports the nutritional value and calorie count of your serving! A smart scale that interacts with a recipe to instruct on ingredient measurements, recalculating for resizing and even offering suggestions for alternative ingredients when short. The appliances of the future will ‘talk’ to one another in a fully-connected kitchen and there are even some suggestions that cabinetry will follow suite. 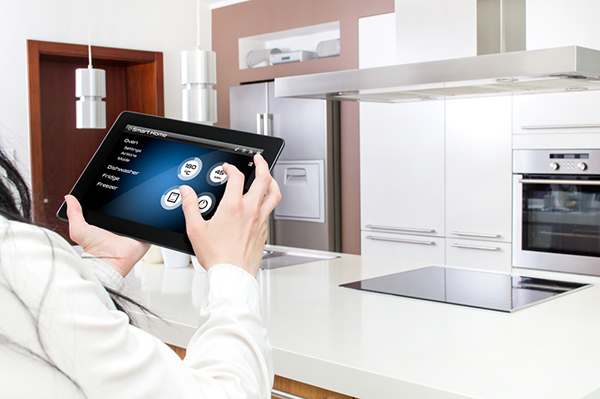 Kitchen cabinets that include touch sensors that record what produce is removed and automatically informing grocery shopping lists and online ordering. However, we believe there is no technology that can replace the heart of a happy cook, and the comfort of a beautifully-designed quality kitchen that welcomes friends and family. Simply put, we can’t imagine a home where the kitchen is the brain, rather than the heart of the home.